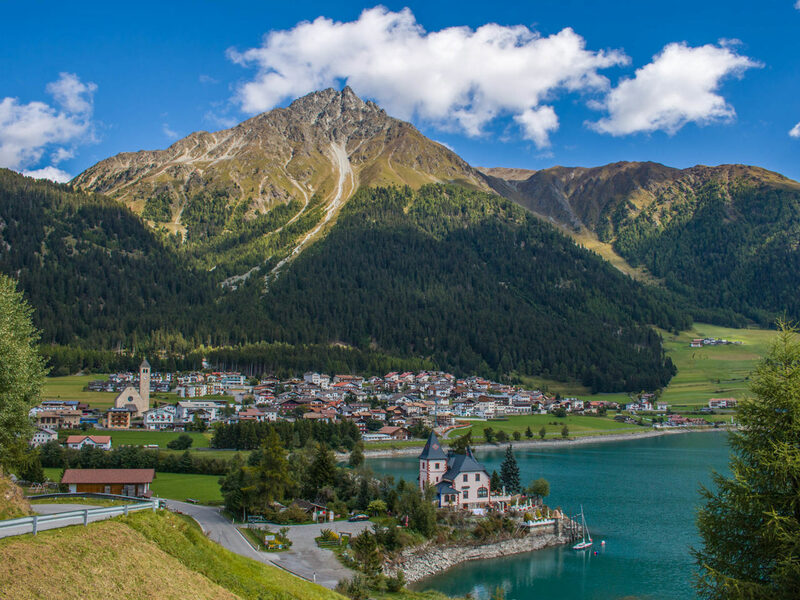 Sky-scraping glaciers, romantic mountain lakes and idyllic pastures, blossoming orchards and green meadows… Reschen is located at 1,500 meters above sea level not far from the mountain pass of the same name, which marks the border with Austria, in the picturesque landscape of the upper Vinschgau. Here, nature still sets the tone. Nevertheless, also human hand has left its mark on the area: Old-Reschen and Old-Graun are at the bottom of Lake Reschen, because it was artificially dammed in 1950 for electricity generation. 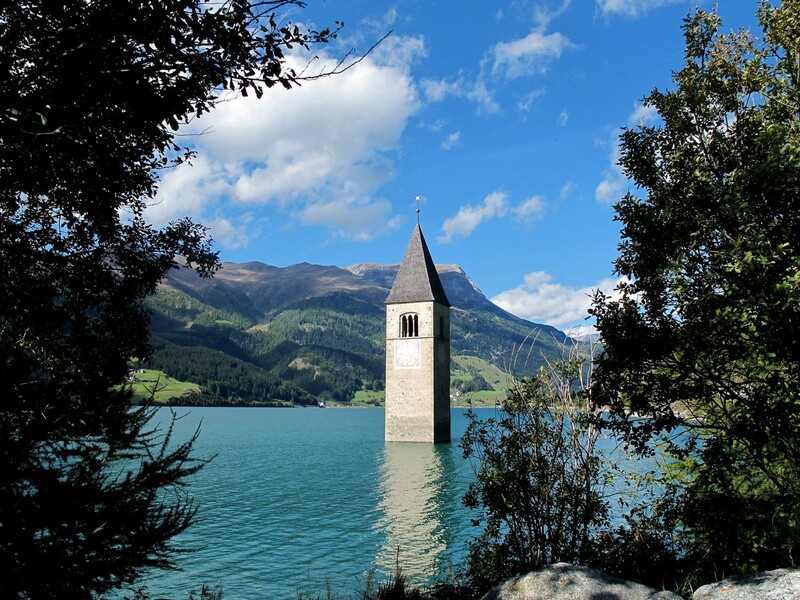 Visible signs of this occurrence are not only the houses of the two villages, which have been re-erected in another place, but above all the church tower rising up out of the water in a fascinating and at the same time warning way. 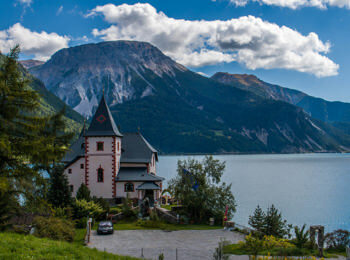 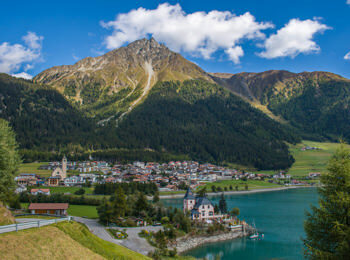 Reschen is the third district of the municipality of Graun next to Langtaufers and St. Valentin and it is the most important holiday resort in the vicinity. On the one hand this is surely due to its attractive location on the northern shore of Lake Reschen. 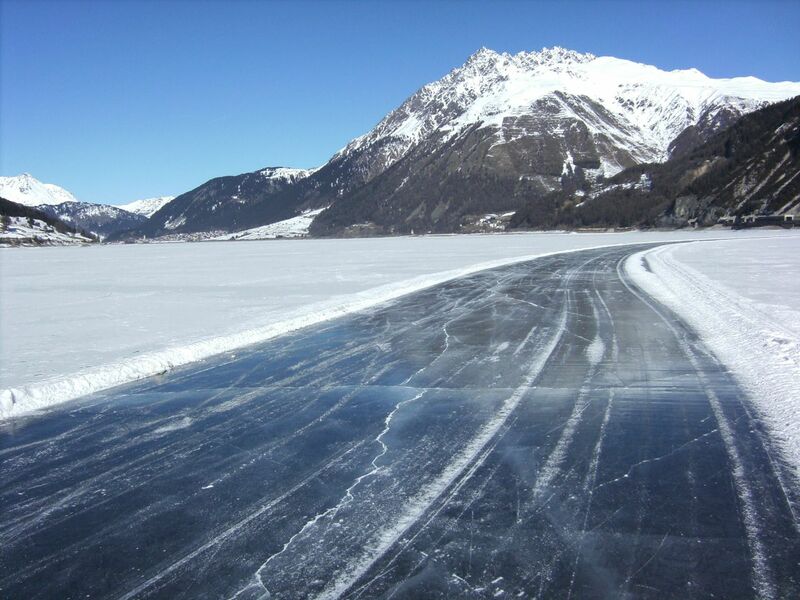 On the other hand, there has always been running a significant route, which started as the Roman Via Claudia Augusta. 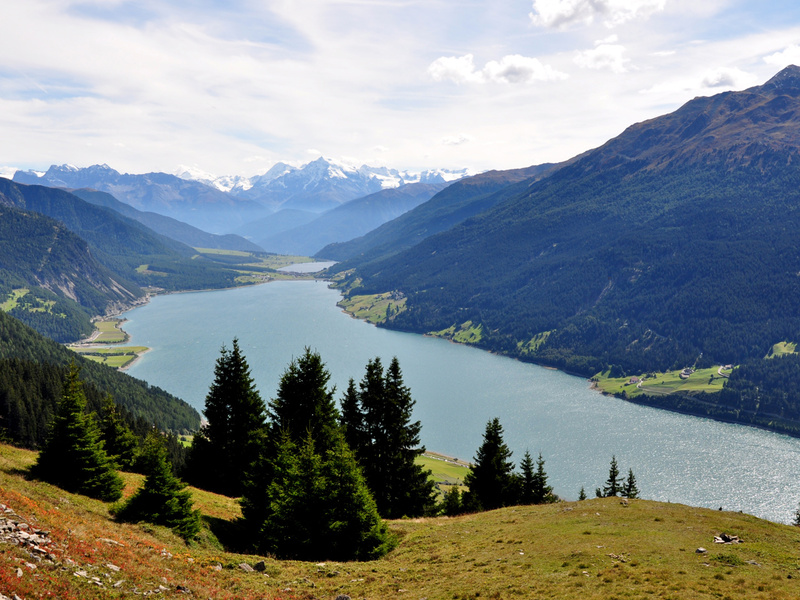 Nowadays, Reschen in Vinschgau still is an important place where South Tyrol meets North Tyrol. Moreover, there are waiting countless sport and leisure time activities right on your doorstep – around and on the dark blue Lake Reschen. 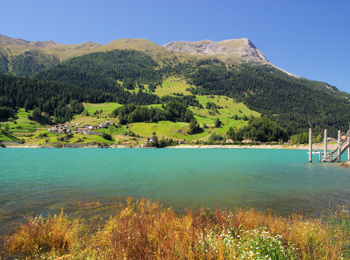 In summer, passionate hikers are spoilt for choice: from pleasant strolls and family picnics on the lakeside to the exhausting ascent up Mt. Weißkugel, which is left to experienced alpinists, everything is possible. 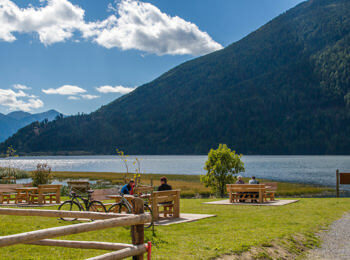 In addition, there are available varied cycle and mountain bike tours as well as opportunities for paragliding, kitesurfing, canyoning and rafting promising bursts of adrenalin. 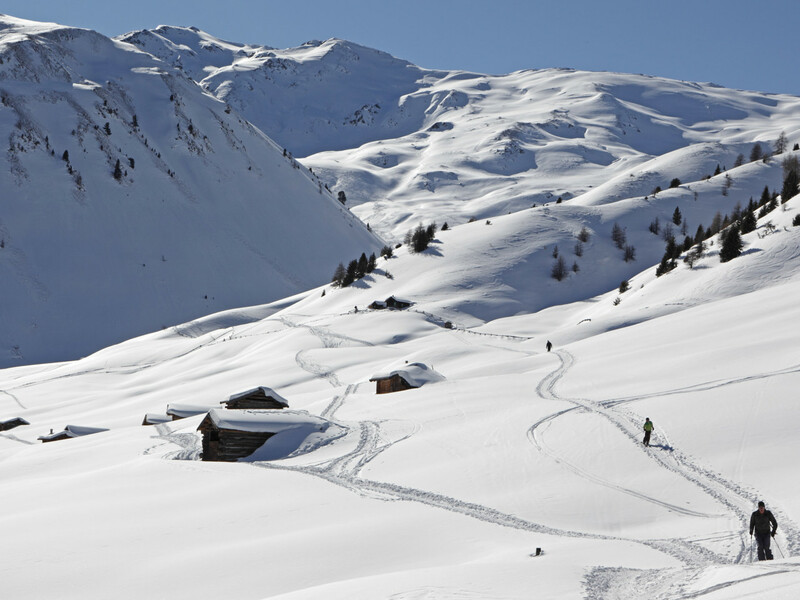 In winter, however, there is the ski paradise Reschen pass in the immediate vicinity of Reschen. 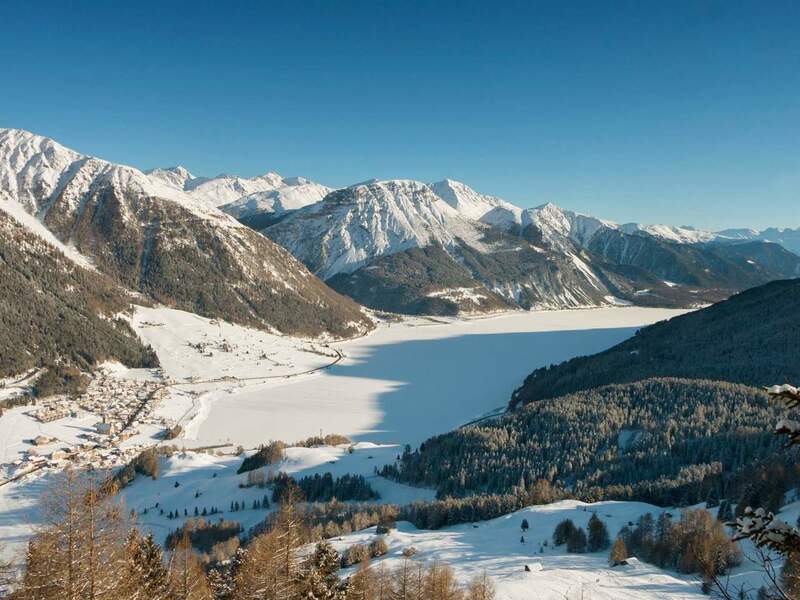 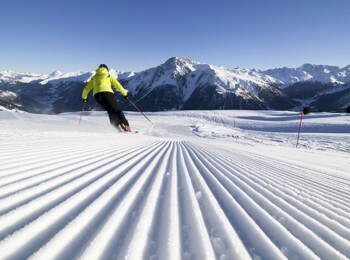 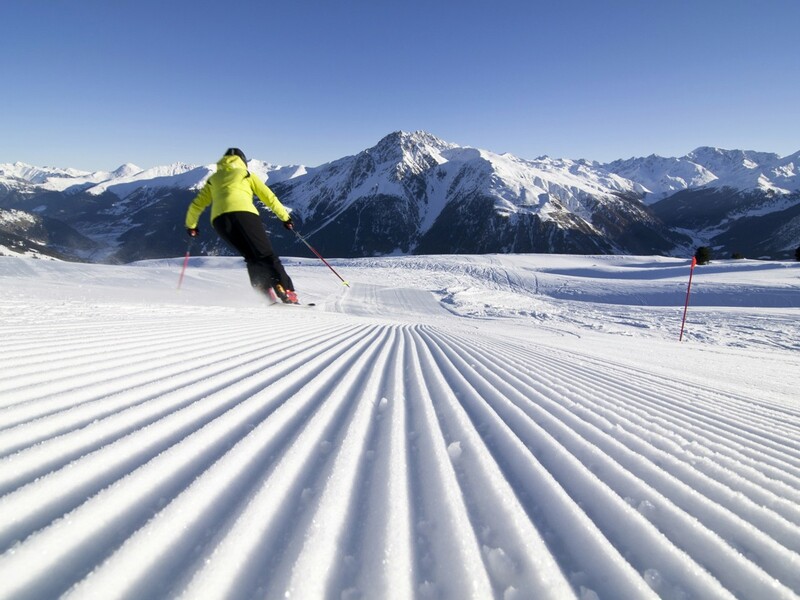 The cross-border ski carousel consists of the three skiing areas Schöneben (belonging to Reschen), Haideralm and Nauders, which are the right place for skiers fond of peace and quiet. 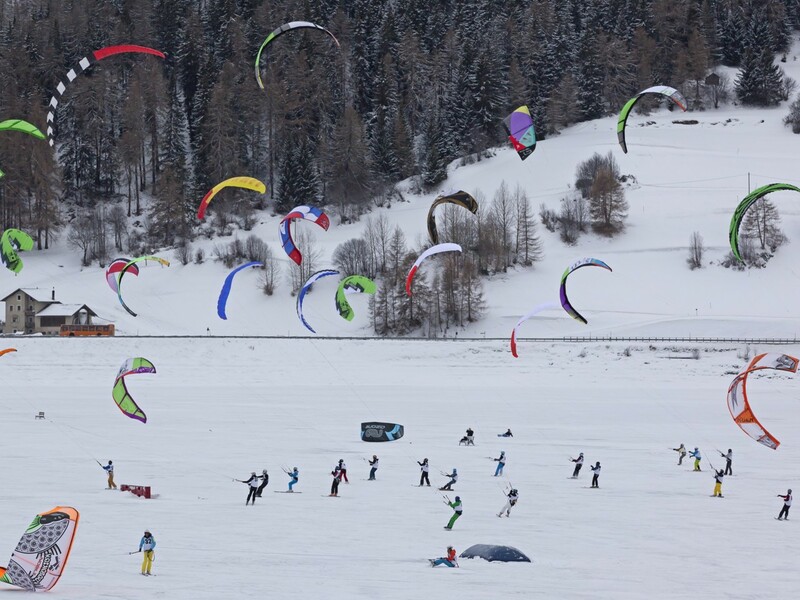 Very special experiences during the snow-white season are also the colourful snowkiting competitions, which are regularly held on the frozen Lake Reschen.